There is a lot going on inside house, but the streets of Cuba are organized. Today I move to Centro Havana, I will pay too much for a room until I am able to leave. Yesterday, I learned, I am finished with Cuba. The only enjoyable thing to do is look at women, the only clear reason to visit Cuba. There are white looking girls, with a blackish tint to their skin, and culture, who fall out of their clothes, but walk on high heels. Cuba is a great place to take photos. I can walk down safe, secure and litter free streets. Still a girl demands to show me her underwear, in the only way possible, she must open her windows to reveal the culture inside. Havana is clean; there are street cleaning people everywhere. The government of Cuba is more organized than their people. I enjoy walking down dumpy streets, that are very clean, free of litter, knowing the clutter is in the house, not outside. Can you imagine, the ability to take dumpy photos, without needing to walk through dumpy streets? This is Havana. For those of you who want to take touching photos, but do not want to get dirty doing it, Cuba is the place to come. I can look in a window and see how people live, without having to walk through the normal chaotic streets of the average out of control government, this one is under control. There is always a problem taking great human-interest photos. Normally a person is required to walk through chaotic streets full of trash, rubbish and litter of no interest, and quite annoying, to take the photo of human interest. 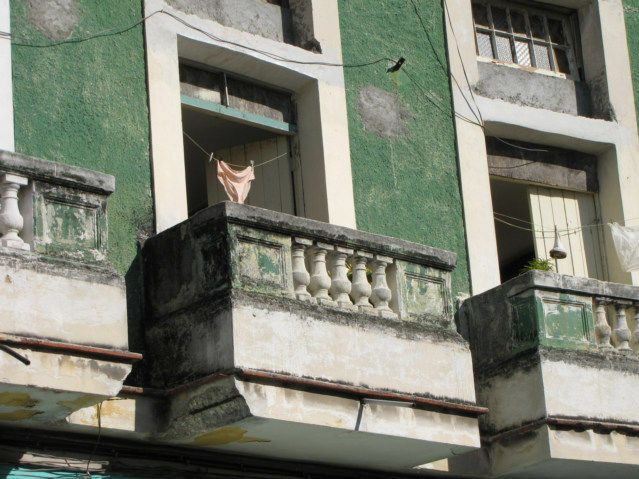 The government of Cuba cleaned up the streets for photographers who refuse to get dirty. No bums, no beggars, nothing to bother me while I take the photos. This is truly a tourist photographer’s paradise, the best place for a tourist to take photographs without getting dirty, accosted, or annoyed. I am very bored, I have seen all this before, but a great place for full on capitalistic tourism to prosper. The world comes to see Cuba, they live in Five Star Hotels, and take tours to look at the people, the place is wide open to the outside world.